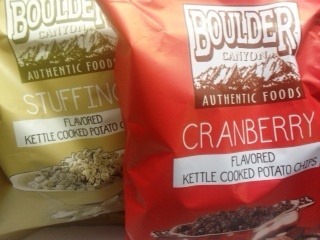 No, I won’t be cooking this year even though I will offer a traditional Thanksgiving dinner thanks to Boulder Canyon Kettle Chips. Yes, you read that right. 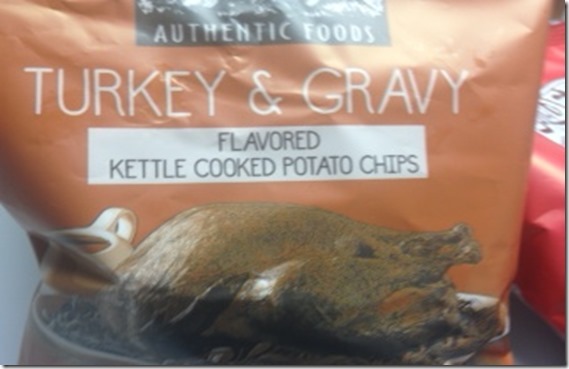 My Nashville son, William, arrived at our airiport with a complete Thanksgiving dinner in a bag….Kettle Chip bags. WHAT FRESH HELL IS THIS? 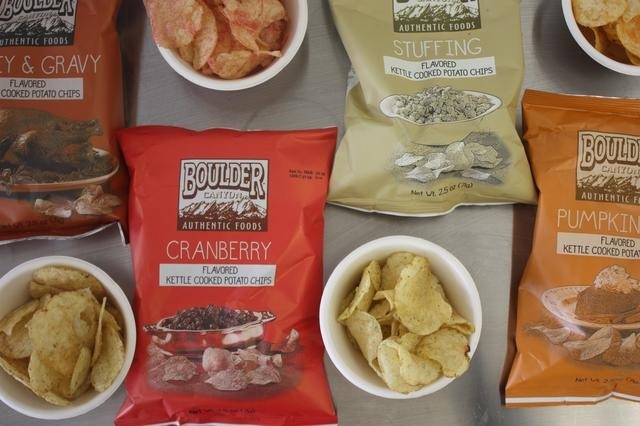 It’s bleak out there in the chip innovation world, which was why we met the notion of Thanksgiving-flavored potato chips with a healthy dose of skepticism. There’s no way that turkey and gravy-flavored chips would actually taste like a roasted bird doused in a savory sauce, right? Shockingly, that’s exactly what the chips from Boulder Canyon Natural taste like; same with the Stuffing flavor, which managed to somehow incorporate the flavor of bread in chip form. It’s like if that weird Willy Wonka gum came to life only crunchy and without that troubling blueberry transformation. And while nothing’s a substitute the real thing, it’s certainly a fun and easy way to get the holiday flavors without all the kitchen fussing. As Gothamist publisher Jake Dobkin put it, “Is there any way we could just cut out the hassle of actually cooking a Thanksgiving meal, while preserving the way it makes us fat?” Yes, yes there is. This will be the easiest Thanksgiving ever! This entry was posted in Food & Entertainment, Funny Stuff and tagged Boulder Canyun helps the cook, Easiest Thanksgiving dinner ever, Thanksgiving dinner in a bag by Emily Jones. Bookmark the permalink. I’ll be over. I don’t like to cook. I saw these on Kelli and Michael. Kelli said they’re for people who want to keep track of their calories on Thanksgiving! What a hoot! They shared them with the audience. You can buy them at Target. Just wondering if they’ll come out with a Christmas Dinner version now. All of my holiday stress has faded away thanks to your post! I wonder if I can put whipped cream on the pumpkin flavored chips? Janis – I think whipped cream mixed with buttah would be perfect dip for pumpkin pie chips.